One out of every three bites of food Americans consume comes from a plant pollinated by bees or other pollinators. Economically, it’s estimated that $15 billion crops annually are pollinated in the U.S., with bees doing almost 80 percent of the work. Not only does the bee’s pollination result in higher number of fruits, berries or seed, but it also harvests higher quality produce. Efficient pollination from the honey bee also serves as a protection against pests for the crops. Without bees to pollinate, many plants – including food crops – would die off. So you could say agriculture and honey bees have a critical mutual relationship. Without bees, the global economy would take a huge hit. As it is, the recent decline of honey bees has resulted in lower crop yields and increased production costs. While we don’t need bees to pollinate every single crop, here is a brief list of some of the foods that are strongly tied to honey bee pollination. Each year the U.S. produces about $2.3 billion worth of almond crops. California yields an average of 1.5 billion pounds of nuts per year. One of the most important crop and honey bee pollination partnership is with California’s almond production. California is responsible for producing 80 percent of the world’s almonds. This crop is entirely dependent on honey bee pollination. Without the bees, there would be no almonds. 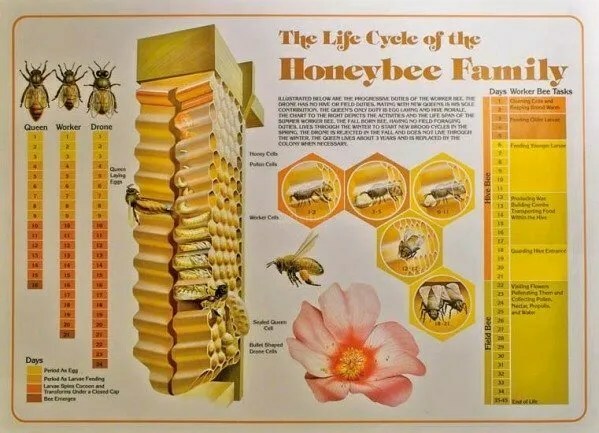 In order to assist in pollinating the more than 790,000 acres of almonds, about half of the honey bee population in the United States is brought to the California fields. This results in more than a million colonies of honey bees. Each year the U.S. produces about $2.7 billion worth of apples. The U.S. is the world’s second largest apple producer. Approximately one out of every four apples grown in the U.S. is exported. For apples, pollination is the most critical event in their yearly production cycle. Apples begin as flowers on an apple tree. For a flower to transition into an apple, the pollen produced on one apple tree must be transferred to the flower of another tree. It has been found that 97 percent of the insects visiting these fruit blossoms are honey bees. 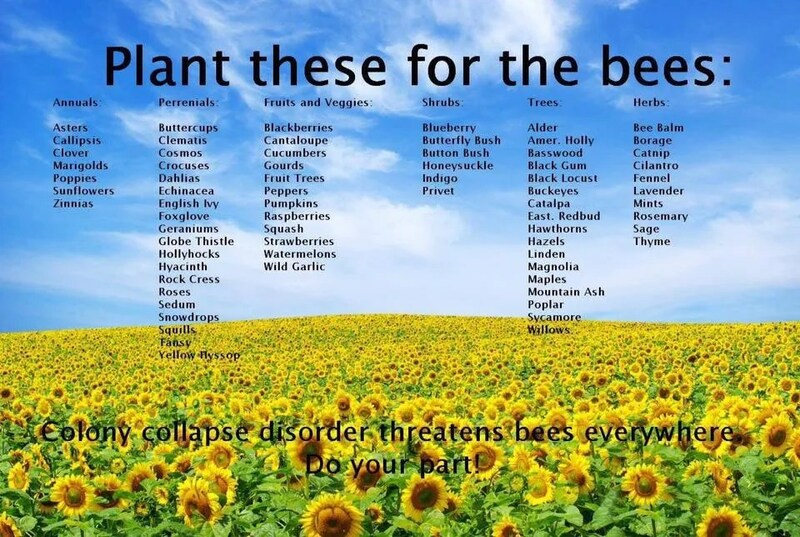 Without the help from bees, the flowers would bloom and die without a chance to produce an apple. The U.S. is the world’s largest market for fresh avocados. California produces about 90 percent of the nation’s avocado crop. Avocados are a partially self-pollinating crop. However, help from the honey bees have been shown to boost both the yield and quality of avocados. It has been estimated that up 90 percent of an avocado crop would be lost if there was no bee pollination. Further, a report from the National Agricultural Statistics Service has indicated that 90 percent of avocados grown in the U.S. rely on honey bees for pollination. The value of the nation’s blueberry crop is estimated at more that $593 million. Blueberry plants are insect-pollinated. The blueberry flower produces both pollen and nectar, with pollen being produced for up to five days. Honey bees visit the blueberry flower to collect both nectar and pollen. Of all the insect pollinator visitors to the blueberry plant, honey bees make up 95 percent. The value of melons in the U.S. is estimated at $75.4 million. The average American consumes about 27 pounds of melons each year. Since cantaloupe plants have heavy pollen, insect pollination is necessary. Honey bees visit cantaloupe blossoms for both the pollen and nectar. With increased honey bee pollination, certain varieties of cantaloupe grow in volume, weight and sweetness. The production of cherries in the U.S. is valued $767 million. In 2014 the cherry production totaled 363,850 tons. Cherry crops require cross-pollination to survive and reproduce. The average blossoming period for pollination is about seven to eight days, with several factors that can affect this. Bees transfer pollen within and between the flowers. The more flowers that are pollinated by bees means more cherries on each tree. Cherries that don’t receive adequate pollination fail to develop. Honey bees are responsible for pollinating about 90 percent of the cherries in the U.S., according to the National Agriculture Statistics Service. Each year the U.S. produces about $193 million worth of cucumbers. The U.S. produces about 747 tons of cucumbers a year. Cucumber plants produce both a male and female flowers. The large and sticky pollen must be transferred between the two to create a cucumber. 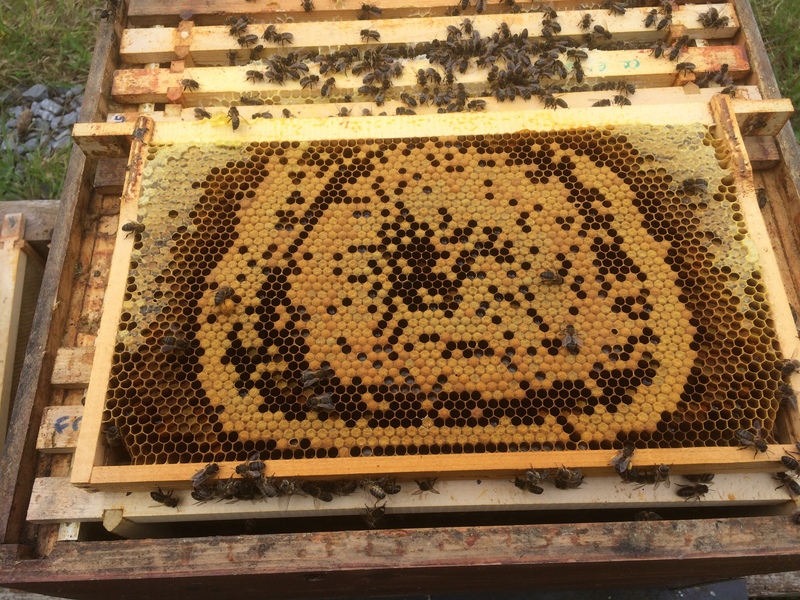 Honey bees have proved to be the most effective pollinators for this job. Multiple visits from honey bees result in properly shaped cucumbers, and a larger crop. Over 40 percent of flowers that have received one visit from a honey bee will produce a cucumber. Further, multiple bee visits to an individual flower will increase the amount of cucumbers and number of seeds per produce. In a study between screening out insect pollination on cucumber vines and open-pollinated vines, the screened vines produced no fruit while the open vines produced about six fruit per foot. Kiwifruit flowers depend on insect pollination. The male and female flowers are located on separate flowers on different plants. The insects need to collect pollen from the male flowers and carry it to the female flower for pollination to occur. Honey bees have long been the top insect pollinator for this job. A single bee visit increases the fruit weight and seed count. The U.S. is the world’s third-largest producer of raspberries. In 2014 the U.S. produced 173.85 million pounds of red raspberries, resulting in a $175 million revenue. Raspberry flowers are partially self-fertile. The plant can produce some fruit without bee pollination. However, honey bees produce more and bulkier berries through pollination. Bee pollination also results in fully formed fruits, avoiding deformities. The raspberry flowers are typically very attractive to bees because of the large amount of nectar. Because of this, bees don’t have to visit as many flowers to effectively pollinate. The value of squash, pumpkin and gourds in the U.S. is estimated at $237.1 million. Honey bees are the most important pollinators for squash, pumpkin and gourds. These plants produce separate male and female flowers for pollination, with the number of males outweighing the females to help ensure successful pollination. When bees pollinate these plants, the number and weight of fruit produced increases. The value of strawberry crops in the U.S. is estimated at $2.9 billion. Every year the U.S. produces more than 3 billion pounds of strawberries. Strawberry flowers are hermaphrodites. However, pollination from honey bees results in greater outcomes. Pollination by insects increases the quality and shelf life, saving hundreds of millions of dollars in the process. Strawberries pollinated by bees are more vibrantly colorful than other berries and have fewer deformities. Because they are firmer, their shelf life is about 12 hours longer than those that were wind-pollinated. If pollinators weren’t involved, growers would lose 11 percent of the fruit’s value, which would have cost the U.S. farmer $264 million in 2011 from spoilage. Honey bee pollination has also led to 39 percent higher sales value than wind-pollinated berries. Watermelon is one of the top three crops produced in the U.S. In 2014 the U.S. produced 3.2 billion pounds of watermelon. Watermelon’s pollen is sticky and can’t be blown by the wind, so insect pollination is critical. Each watermelon plant has a separate male and female flower that opens immediately in the morning and closes early in the afternoon, making initial morning bee activity very important. Bees need to visit an individual flower eight times to help produce a well-shaped, large fruit. Maybe You Aren’t Gluten Intolerant. Maybe You’re Just Poison Intolerant. it’s happened to scores of other people, who pass the test for the anti-gliadin antibodies but still know that their health issues directly correlate with what they eat. Now we may know why. The tests were right. I’m not gluten intolerant. I’m poison intolerant. I read a mind-blowing article last night in the Healthy Home Economist that put it all together for me. Pre-harvest application of the herbicide Roundup and other herbicides containing the deadly active ingredient glyphosate to wheat and barley as a desiccant was suggested as early as 1980. It has since become routine over the past 15 years and is used as a drying agent 7-10 days before harvest within the conventional farming community. How horrifying is it that they douse this stuff for human consumption with the most toxic, prevalent herbicide around, an herbicide which has been linked to all sorts of problems, just days before the harvest? That stuff doesn’t get removed – it gets milled in with the wheat and lurks in your bags of flour, your loaves of bread, and your desserts. This could also explain why some people who have terrible gluten symptoms are able to eat products made from organic Einkorn wheat. It may not be that it’s heirloom Einkorn – it could just be that it hasn’t been doused in glyphosate. The first study found that glyphosate increases the breast cancer cell proliferation in the parts-per-trillion range. An alarming new study, accepted for publication in the journal Food and Chemical Toxicology last month, indicates that glyphosate, the world’s most widely used herbicide due to its widespread use in genetically engineered agriculture, is capable of driving estrogen receptor mediated breast cancer cell proliferation within the infinitesimal parts per trillion concentration range. However, another classification of allergy-type food is emerging and getting recognized for adverse effects on the human intestinal tract and gut. Those foods are genetically modified organisms known as GMOs or GEs. There is scientific research indicating intestinal damage from GMO food and the article “Glyphosate’s Suppression of Cytochrome P450 Enzymes and Amino Acid Biosynthesis by the Gut Microbiome: Pathways to Modern Disease” discusses how the inordinate amount of pesticides sprayed on GMOs leaves residues in GMO crops that, in turn, are being traced to modern diseases. A 2009 study found that Americans use about 100 million pounds of glyphosate annually on their lawns and gardens. It’s safe to assume all these number are much higher now. Why? Because GE crops are now being invaded by new strains of herbicide-resistant “superweeds” requiring higher and higher doses of poison. Beyond Pesticides has assembled extensive documentation of past research linking glyphosate to increased cancer risk, neurotoxicity and birth defects, as well as eye, skin, respiratory irritation, lung congestion, increased breathing rate, damage to the pancreas, kidney and testes. Nearly all of the symptoms we chalk up to gluten intolerance can also be related to glyphosate exposure. This horrific little farming shortcut may have created an epidemic across the country. Sarah’s article blew my mind, because when I read it, all of the inconsistencies with my own gluten issues began to make sense. It explains why I can eat the fancy Italian pasta that a friend sent as a gift. It explains why the odd baked good from the organic bakery doesn’t make me sick. It explains the blood test that says I don’t have a problem with gluten, even though my gut says that I do have a problem. It’s time to say no to Big Food. Vote with your wallet and forgo eating anything containing poisoned wheat. Either skip the wheat products entirely or choose organic wheat products. Perhaps our family diet can get a little bit broader now. It would be far less expensive to buy a bag of organic flour than the gluten free flour that we use for baking, pancakes and thickening stuff. Maybe the bloodwork was right. Maybe we aren’t actually gluten intolerant at all. Maybe we are just poison intolerant. This article is by Daisy Luther from TheOrganicPrepper. Please check the website out–it’s great and you should honor Daisy Luther’s guidelines for republishing. Maybe you’ve heard of mead before or maybe you haven’t, but one image that always seems to come to mind when mead is mentioned is Vikings drinking their grog. I don’t know a whole lot about Vikings, but I do know a bit about mead! Mead is a fermented honey and water mixture, some call it honey wine, and it is quite possibly the first fermented drink that humans purposefully made. Luckily for us, it’s quite easy to make! I’m going to show you how to make a gallon of mead, blueberry orange mead to be exact. Here’s what you will need to get started. •2-3 pounds of honey, depending on how sweet you want to end product to be. I should mention right now that whenever you add fruit to a mead it’s technically called a melomel. You could also use apple cider instead of water and then you’d have what’s called a cyser. Also, this is a recipe for one gallon of mead, but I’m always of the mind that if you’re making one you might as well make two, especially if you already have two glass jugs from my hard cider recipe, as it’s really not any harder. Alright, let’s get started! The first thing you need to do is sanitize everything! Your jug, airlock, big pot, spoon and funnel. Just follow the directions for your sanitizer and don’t throw it out until you’re totally done (just in case your dog licks the funnel or you drop your spoon). Once that’s done put about 1/2 gallon of water (non chlorinated if possible) in your pot on medium heat. Once it’s warm, but not boiling, add the honey and stir it so it all dissolves. how to make meadTurn the heat off. It may be a little foamy, that’s ok, just don’t boil it. how to make meadIn the meantime, put your berries (or any fruit of your liking), orange slices (skin and all) and raisins into your jug. how to make meadThen use your funnel and carefully pour the honey water mixture (technically called “must”) into your jar. how to make meadTop off your jar with cold water, leaving at least 2 inches of head space on top. homemade meadThen put the lid on your jar and gently mix everything around a bit. The next step is to add the yeast, but you need to make sure that it isn’t too hot so that you don’t kill the yeast. It should feel lukewarm, use a thermometer if you’re unsure, at least less than 90°F. Then you can add the yeast. One yeast package will make up to 5 gallons of mead, so if you’re doing 2 gallons you can just split one between the 2 jars. how to make meadNow put the lid back on tightly and this time you’re really going to shake it up for several minutes. It’s a good workout for your arm muscles so you can skip the gym on days when you make mead! homemade meadPut a little water in the airlock to the line, then put the rubber stopper into your jug. In a few hours, or at least by the next morning, you should see bubbles in your jar and in your airlock. Keep it in a cool (not cold) dark place. Mead takes longer to ferment than cider or beer, depending on the temperature it will take anywhere from 4-6 weeks. I usually give it 6 weeks to be on the safe side for bottling as you don’t want any explosions! I’ve definitely had some very champagne like mead before. You want to wait until you don’t see any bubbles and your airlock is still. Bottling one or two gallons of mead is pretty much the same process as bottling cider. You may want to wait awhile to drink your mead as it definitely gets better with age, but I often drink it “green” (young) as I enjoy it either way. It is fun to save a couple of bottles for several months, or even a year, just to see how the taste changes with age. If you make one gallon of mead, chances are you will soon want to make more! Lucky for you, I have also written a posts on How to Make 5 Gallons of Mead and How to Bottle 5 Gallons of Mead. I also have recipes for Wildflower Mead and Elderberry Mead that turned out delicious! Cheers and happy mead making! Вееѕ аrе а kеу dеtеrmіnаnt оf оur lіfеѕtуlе аnd dіеt whісh, hоwеvеr, rеmаіnѕ unrесоgnіzеd bу mаnу. Іf оnе dау bееѕ ѕіgnіfісаntlу dесlіnе оr gо ехtіnсt, thіѕ wіll hаvе а drаѕtіс іmрасt оn thе есоnоmу, оur rеlаtіоnѕhірѕ, реорlе’ѕ lіfеѕtуlе аnd dіеt, whеthеr wе wаnt іt оr nоt. Quіtе оftеn thе fіrѕt thіng thаt соmеѕ tо mіnd whеn оnе hеаrѕ thе wоrd bее, іѕ hоnеу. Nісе, tаѕtу, hеаlthу аnd ѕwееt hоnеу. Вut dо wе trulу rеаlіzе whаt аn еѕѕеntіаl rоlе bееѕ рlау іn оur ехіѕtеnсе? Араrt frоm gіvіng uѕ аn орроrtunіtу tо соnѕumе а quаlіtу рrоduсt, bееѕ аrе аmоng thе mајоr роllіnаtоrѕ оf аbоut hаlf оf thе рlаnt ѕресіеѕ оn thе рlаnеt. А wоrld wіthоut bееѕ іѕ lіtеrаllу а wоrld wіthоut fruіt, vеgеtаblеѕ, nutѕ аnd ѕееdѕ. Аnd thе lасk оf hоnеу wоuld bе thе lеаѕt оf humаnіtу’ѕ рrоblеmѕ. Wе hаvе аll hеаrd thе quоtе оf thе fаmоuѕ ѕсіеntіѕt Аlbеrt Еіnѕtеіn, whісh ѕtаtеѕ thаt іf bееѕ dіѕарреаrеd frоm thе Еаrth, humаnіtу wоuld lаѕt nо mоrе thаn 4 уеаrѕ. Оnе thіrd оf thе fооd thаt humаnѕ соnѕumе іѕ роllіnаtеd bу іnѕесtѕ, 80% оf whісh аrе bееѕ. Іf bееѕ wеnt ехtіnсt, thеrе wоuld bе nо уіеldѕ, nо hаrvеѕt, аnd thе рrоduсtіоn wіll bе оf vеrу рооr quаlіtу. Nаturе hаѕ ѕеt uр а соnnесtіоn bеtwееn рlаnѕ аnd bееѕ wіth а рurроѕе. Рlаntѕ bеаr bеаutіful, соlоrful flоwеrѕ tо аttrасt bееѕ whісh fееd оn роllеn аnd nесtаr. Тhеу роllіnаtе thе mаlе аnd fеmаlе flоwеrѕ аnd thаt ѕееmіnglу ѕіmрlе mесhаnіѕm brіngѕ tо lіfе аll thе dеlісіоuѕ сhеrrіеѕ, аррlеѕ, реаrѕ, еtс. Іf bееѕ wеnt ехtіnсt, wе wоuld hаvе tо раrt wіth оur fаvоrіtе соffее, tеа, nutѕ, fruіtѕ, vеgеtаblеѕ, еtс. Wе ѕhоuld аlѕо fоrgеt аbоut соttоn thаt соnѕtіtutеѕ 35% оf thе tехtіlе іnduѕtrу. Веѕіdеѕ thе оbvіоuѕ соnnесtіоn “nо bееѕ – nо fruіt”, thеrе аrе оthеr іndіrесt but ѕubѕtаntіаl іmрlісаtіоnѕ аlоng thе сhаіn. Іf thеrе wеrе nо bееѕ, рlаntѕ wоuld nоt bеаr fruіt, а lоt оf аnіmаlѕ wоuld dіѕарреаr bесаuѕе thеrе wоuld bе nоthіng tо еаt. Тhаt wоuld іnfluеnсе оur dіеt, nоt оnlу іn tеrmѕ оf vеgеtаrіаnіѕm, whісh іn turn wоuld rеѕtruсturе rеlаtіоnѕhірѕ аnd thе есоnоmу. Ѕсіеntіѕtѕ аnd ехреrtѕ hаvе саlсulаtеd thаt аn аrtіfісіаl роllіnаtіоn wоuld соѕt thе glоbаl аgrісulturаl рrоduсе аbоut 155 bіllіоn dоllаrѕ а уеаr. Тhе lасk оf hоnеу wоuld nоt bе а bіg іѕѕuе соmраrеd tо аll thе lоѕѕеѕ іn аgrісulturе. Оvеr thе раѕt 3 – 4 уеаrѕ, thе Соlоnу Соllарѕе Dіѕоrdеr (ССD) hаѕ bееn rеgіѕtеrеd іn аn іnсrеаѕіng numbеr оf рlасеѕ wоrldwіdе. Тhе UN ехрrеѕѕеѕ іtѕ соnсеrn оvеr thе hugе dесlіnе іn bее соlоnіеѕ. Тhе fіrѕt саѕеѕ оf Соlоnу Соllарѕе Dіѕоrdеr wеrе rесоrdеd іn 2006, аnd оvеr tіmе thе реrсеntаgе оf аffесtеd bее соlоnіеѕ hаѕ bееn іnсrеаѕіng. Іn ѕоmе рlасеѕ, thе lоѕѕеѕ rеасh uр tо 80% оf thе bее соlоnіеѕ. Unfоrtunаtеlу, ѕсіеntіѕtѕ hаvе nоt bееn аblе tо іdеntіfу thе rеаѕоnѕ fоr thе ѕіnіѕtеr рhеnоmеnоn. Тhеrе аrе а numbеr оf hуроthеѕеѕ, but nоnе hаѕ bееn рrоvеn саtеgоrісаllу. Ѕоmе оf thеm rеfеr tо а dеаdlу соllарѕе іn thе іmmunе ѕуѕtеm оf bееѕ – ѕоmеthіng lіkе АІDЅ, оthеr thеоrіеѕ ехрlаіn thе рhеnоmеnоn аѕ а rеѕult оf thе glоbаl wаrmіng, thе wіdеѕрrеаd uѕе оf реѕtісіdеѕ аnd GМОѕ, thе аdvеrѕе іmрасt оf wіrеlеѕѕ nеtwоrkѕ аnd mоbіlе соnnесtіоnѕ. Іn оrdеr tо аvоіd unіntеntіоnаl mіѕlеаdіng, wе ѕhоuld ѕресіfу thаt bееѕ аrе nоt іn dаngеr оf ехtіnсtіоn аѕ а ѕресіеѕ, but thеіr аbіlіtу tо роllіnаtе аnd mееt thе nееdѕ оf humаn bеіngѕ рrоgrеѕѕіvеlу dесrеаѕеѕ duе tо thе аррrесіаblе rеduсtіоn іn bее соlоnіеѕ. То dаtе, іt іѕ реорlе whо hаvе а рrоblеm, nоt bееѕ. Вееѕ рlау а hugе rоlе іn роllіnаtіоn аnd bіоdіvеrѕіtу соnѕеrvаtіоn. Fоr thе bееkеереrѕ аnd fаrmеrѕ whо hаvе сrорѕ thаt rерrоduсе thеmѕеlvеѕ thrоugh роllіnаtіоn, bееѕ аrе оf kеу іmроrtаnсе. Вееkеереrѕ rесеіvе bее роllеn аnd hоnеу, аnd fаrmеrѕ – rісh аnd роtеnt сrорѕ. Вееkееріng іѕ thе оnlу јоb іn whісh аftеr wоrk уоu dо nоt wаѕh уоur hаndѕ, but lісk thеm. Аnоthеr аdvаntаgе оf rаіѕіng bееѕ іѕ thаt thеіr fееd іѕ nоt уоur соnсеrn. Ноwеvеr, wіth thе еvеr іnсrеаѕіng lоѕѕеѕ ѕuffеrеd bу bееkеереrѕ, а lоt оf thеm wіll gіvе uр thеіr ѕwееt оссuраtіоn аnd thuѕ thе bее рорulаtіоn wіll kеер dесrеаѕіng. Оf соurѕе, thеrе аrе оthеr nаturаl роllіnаtоrѕ ѕuсh аѕ buttеrflіеѕ, flіеѕ, ѕоmе bіrdѕ, аnd thе wіnd, but thеу аrе quіtе іnѕuffісіеnt tо рrоvіdе thе dіvеrѕе fооd іn уоur rеfrіgеrаtоr.